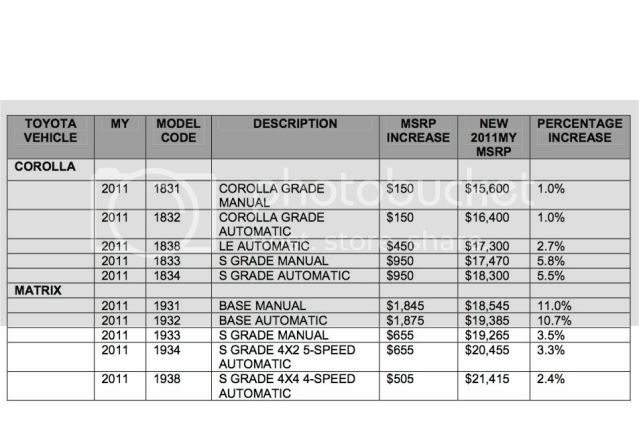 Toyota has revealed prices of its extremely popular Corolla and fairly well-liked Matrix models. Three trim-levels will be offered for the Corolla; base, LE, and S. Entry-level Base will start at $15,600, while the entry-level Matrix will start from $18,545. Revisions are limited to reworked bumpers, grille, and interior. Base Corolla’s are equipped with 15” steel wheels, electrically adjustable black door mirrors, air conditioning, 4 speakers w/AUX input, x6 airbags, vehicle stability control (VSC), trip computer, height adjustable driver’s seat, tilt/telescopic steering wheel, and manual windows. Mid-spec LE adds internal metallic accents, leather steering wheel w/audio controls, and keyless entry. Range-topping S grades come with 16” alloy wheels, electrically adjustable/heated body-coloured door mirrors, front fog lamps, 6 speakers, cruise control, electric windows, rear spoiler, and remote central locking. 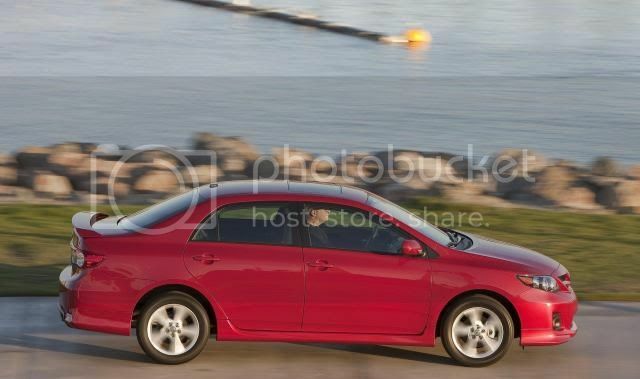 The Corolla will hit dealerships in January 2011, with sales of the Matrix following a few weeks later.